hey everyone :) how is your week going so far? 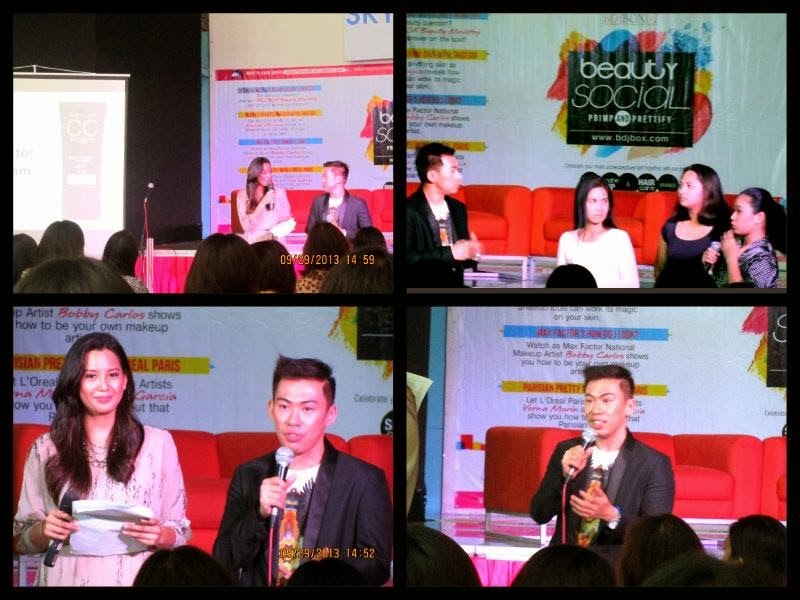 well i had a fun weekend because of the BDJ BOX Beauty Social event! and on top of that i was soooo blessed that i got selected for the MAX FACTOR MAKEUP WORKSHOP! yay! im so overwhelmed because im not a make up artist and learning from them is a step forward towards beauty. 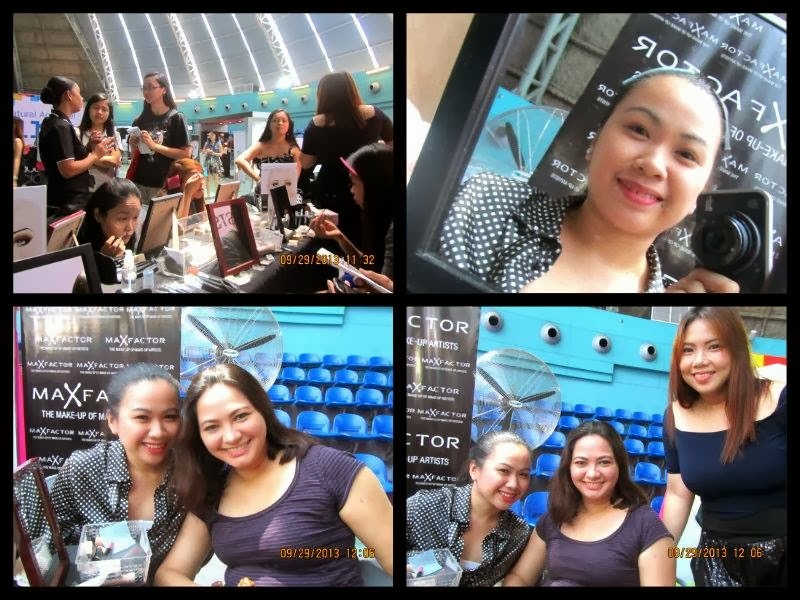 its really nice that the instructor is very patient with us because not everyone of us is used in applying makeup :) im with the 1st batch of the winning girls (yay!) 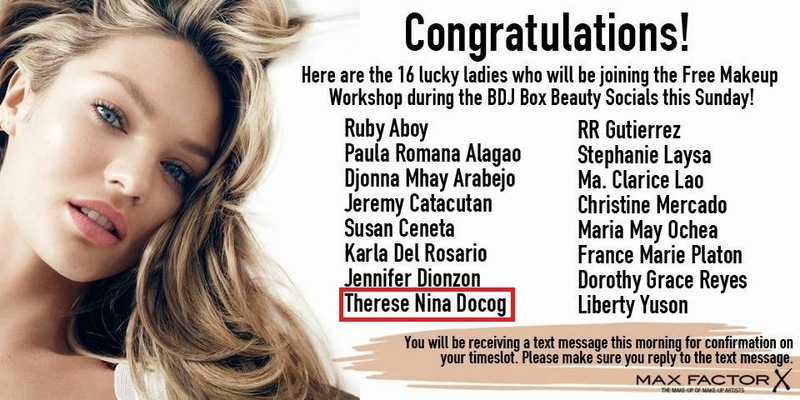 11-12 makeup workshop slot is what i got. 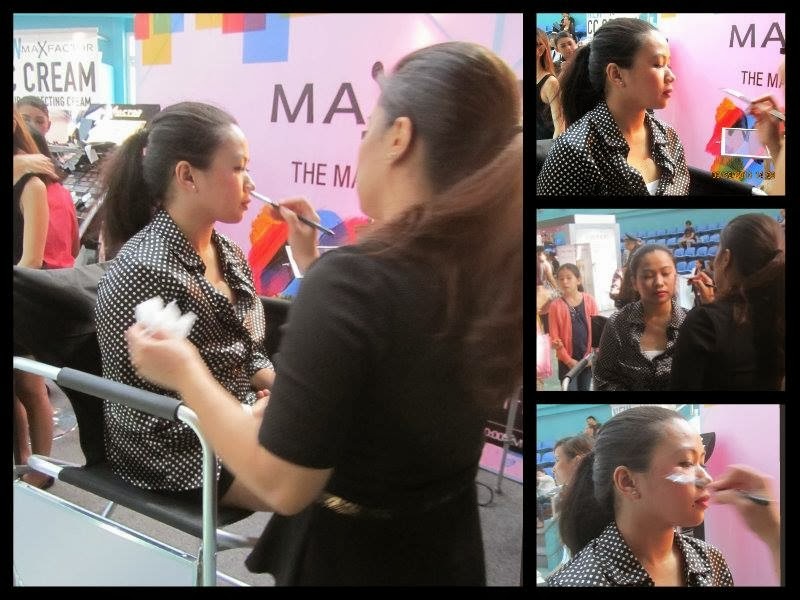 as what they say Max factor is the makeup of makeup artists, and with the help of their booth, a lot of bellas become their own makeup artist! and what they thought us will be applied when we all do makeup for sure! thank you Max Factor for sharing us your makeup and teaching us during the event! i personally had a lot of fun during the event and nice seeing Mr. Bobby Carlos for the second time! i hope you guys had fun at the BDJ BOX Beauty Social event too! what booths have you guys visited? 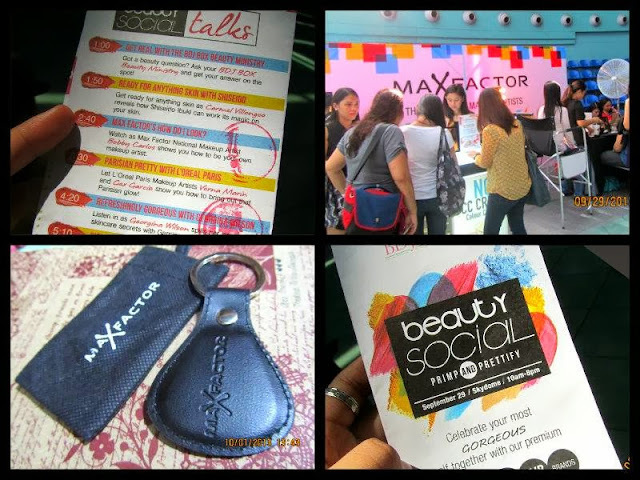 1 comment on "EVENT: Max Factor at the BDJ BOX Beauty Social"